Our newly renovated excercise room is fully equipped with a mens and ladies room, all modern gym equipment and a flat screen TV . You can enjoy a challenging workout on a new eliptical or tone up on one of many weight machines. 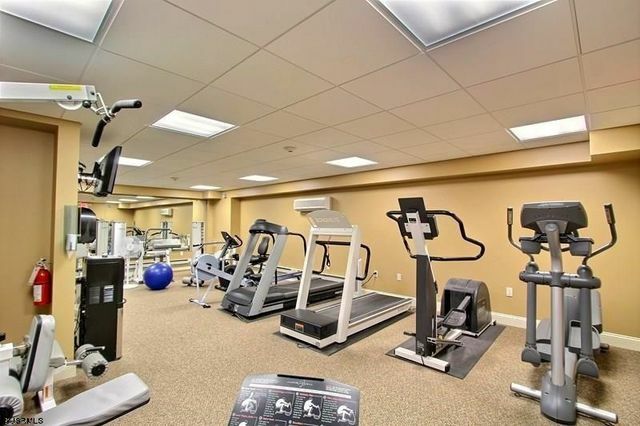 The gym is located on the 5th floor and is accessable 24 hours a day by using your security FOB. • Children under the age of 12 are not permitted on gym equipment under any circumstances. • Children ages 12-16 must be accompanied by an adult. • Equipment should be wiped down with cleaner and toweling (provided) after each use. A phone line designated to dial 911 in the event of an emergency is located inside the Exercise Room.